Heading out for a bite to eat and a night on the town isn’t just about the food. Restaurants are feasts for the other senses, too. The atmosphere, the social aspect, and a sense of grandeur are all a part of the dining experience. An appealing environment makes eating a meal that much more enjoyable, and is a considerable chunk of a customer’s reason for returning. For builders, designers and architects, restaurant design can represent an invitation to go wild and test the waters for a new mode of thinking and design execution. The freedom that designers and builders are granted when tasked with a restaurant is usually met with a certain degree of excitement, and it’s often reflected in the final outcome because dining in a restaurant is all about drama and awe; but that doesn’t mean there isn’t some method to the madness of designing a space meant for eating. 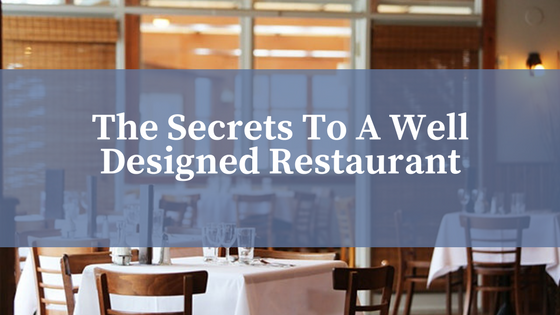 In this post, we’ll discuss some of the secrets of great restaurant design. Without having to say too much, the flow of any space helps to dictate its quality, its character, and its charm. 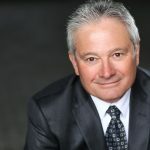 Restaurants are pseudo chameleons when it comes to flow, because flow affects different spaces differently – and it’s sometimes heavily connected to the type of restaurant in question. For example, a traditional public house, speakeasy or brasserie will inevitably benefit from a more haphazard layout. These typically smaller spaces epitomize sociable exchange and conversation; tables get pulled together, groups gather, walk about and even join other groups. To bring some order to a social setting like these, it’s crucial for the designer to give the room direction – often times this can mean the bar, a fireplace, or a central figurehead like a staple piece of decor or a large painting. In a formal dining room, patrons will expect a more symmetrical, organized layout that allows wait-staff and other diners the opportunity to enjoy their space. You’ll notice in most restaurant spaces that tables and booths are organized in rows to allow for two-way traffic. There’s also an implied sensibility and a perceived organization when things are set up neat rows. This can also help to elongate the room, helping to make it seem larger than it really is. Take a look at the interior ceiling of the Astor Grill – this dining area features a tightly interwoven wood installation that helps to draw the eye upward. The effect of tightly layers parts and the implied warmth of the wood material helps to boost the sense of creativity and splendor of the space – even though it’s made of an otherwise cheap material – pine strips. Restaurants can also be layered with light. The lighting design of a dining space can be directly correlated to its intended purpose. For example, if a space blasts light on all of its guests, diners could interpret the openness as a sign of a space that’s family friendly. By contrast, task lighting can be used to provide illumination for specific groups or couples. These types of task lights are usually visual, and as such require some style and a unique finish that accentuates the aesthetic of the room. Short and sweet – like any space, decor plays a huge role in helping to portray a specific style or character. What you choose to accent your restaurant design says a lot about the type of establishment you’re creating, and for designers, decor can help to create a space that boosts the appeal, visibility and use of specific features. If you’re a fish and chip joint, fine art on the walls isn’t the strongest choice to adorn the walls, alternatively, it may look out of place for a fine dining establishment to feature immature, or cheap looking ornaments or flimsy silverware. Decor plays a large role in helping to project the personality and identity of the space, so working with designers and builders can help owners to reinvent the character of the restaurant. This last tip is key to the core of restaurant design, and it’s central to many instances of design nuances: good design shouldn’t be noticeable. Loosely translated: when design is done right – restaurant patrons shouldn’t be able to notice the extent of its influence. The idea is not to blend everything into the background, but to have every aspect of design, from lighting choices and cutlery selection, to materials and layout setup, to integrate together so well that they all help to comprise one big picture – not segregated sections within the space. Good design should always help to place emphasis back on the food and the conversations had in the space – and should never distract diners from enjoying their time.